We had been thinking of going to this restaurant for some time, as it has been highly rated by friends. They are open all day for breakfast, brunch, lunch and dinner, so we dragged ourselves out of our comfort zone and visited with friends on a Saturday evening. They only do a couple of sittings, so we agreed on a 9.00 pm booking. We were on time but the table wasn’t clear, so we had free, and creative cocktails from the bar. 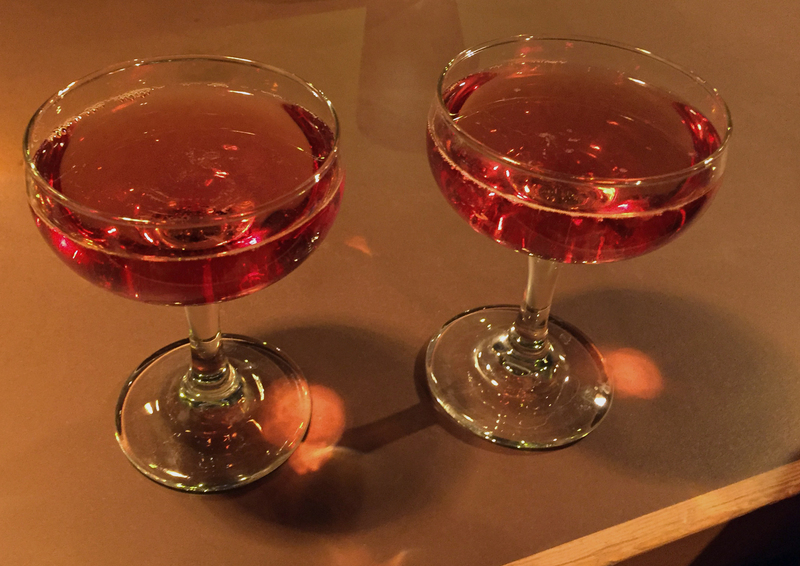 Mine was a sort of Kir Royale but with Cherry liqueur but the others were also colourful and refreshing, even the non-alcoholic salted grapefruit. I have been a bit tardy about writing this up and we have lost the bill, so I’m sorry to say that some details are sketchy. There is a short menu and you cannot always depend on what it says, as they run out and substitute ingredients too. With no photos to jog my memory I can’t remember what we had as first courses. But I do recall that we were delighted and all plates were empty. 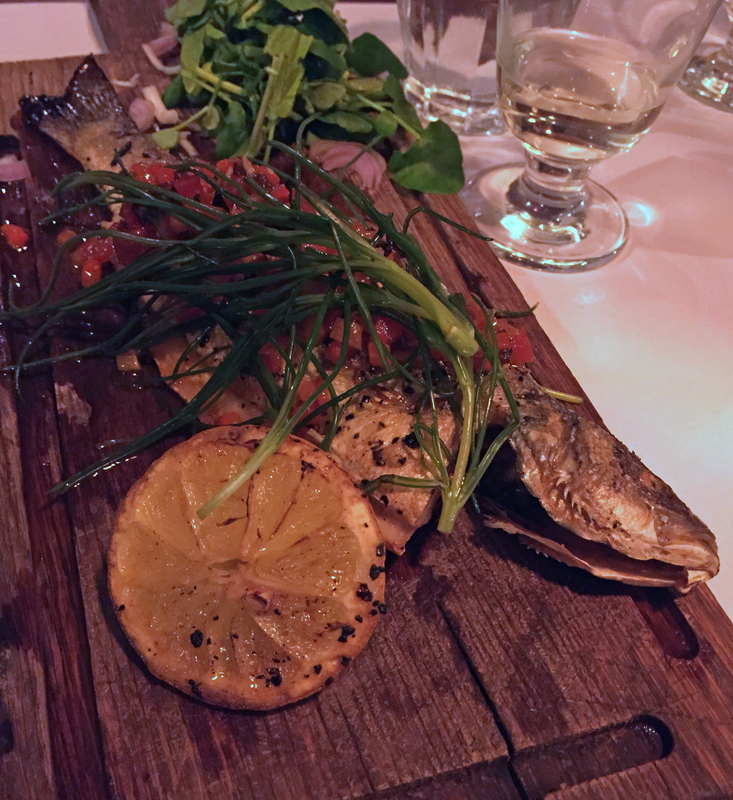 For the main course we had sea bass, with samphire and clams, which was made even more delicious with roasted lemon (I am a great fan). 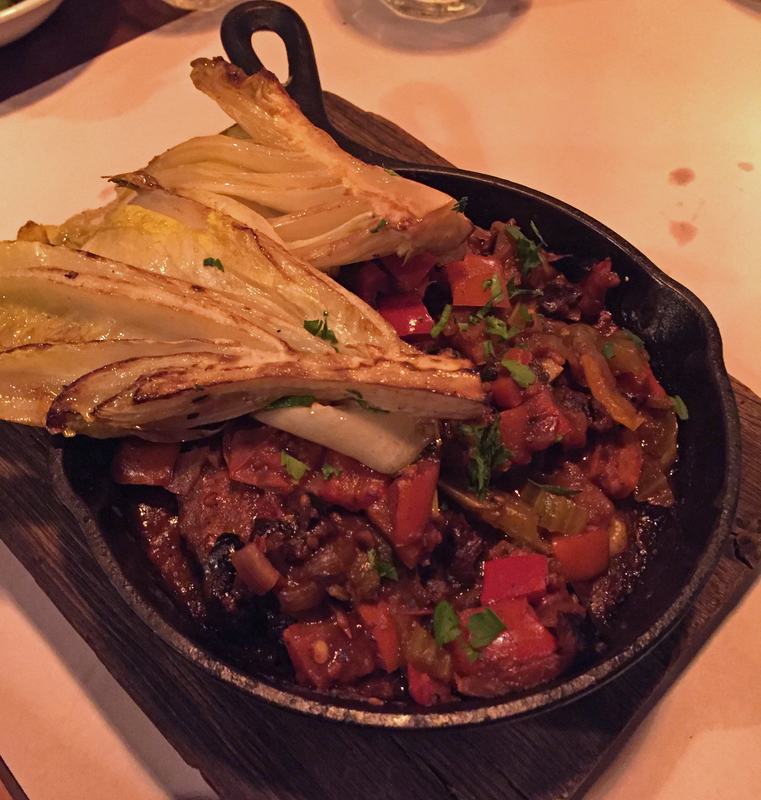 We also ordered aubergine parmigiana, which was not a great success, as it was more like ratatouille – perfectly tasty but not what was expected. 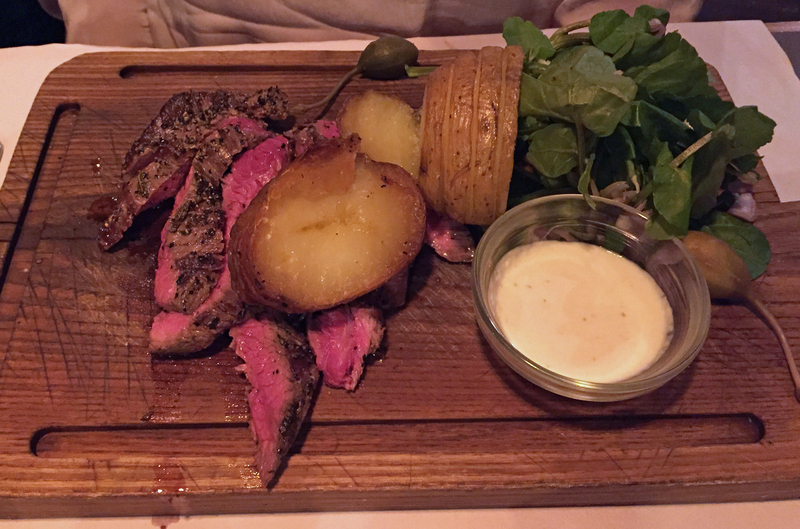 Finally, there was a bavette steak with hassleback potatoes. The steak was pink but the potatoes weren’t finely cut enough and so were not as crisp as we hoped for. 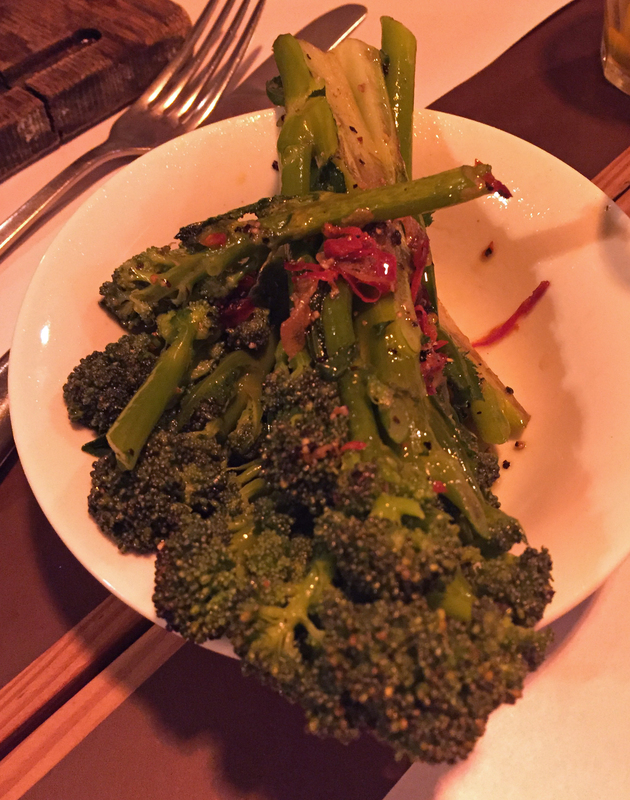 We ordered a side of broccoli with garlic and chilli oil (substitute for the Kale, which I would never have ordered). Finally we ordered one, and only one, orange marmalade posset which was smooth and just the right balance of sweet and bitterness of Seville oranges. We washed it all down with wine – a lot of it and all white. The bill was large but not as large when you remove the wine. The mains are under £20, starters £6 or 7 and desserts about a fiver. The staff were very helpful and we encourage you to turn up early and have a cocktail.